Tracey Morgan Gallery is pleased to present Future Past: Experiments in Photography, a group exhibition of work from 15 artists, all of whom are working beyond the tradition notions of photography. Artists included are Matthew Brandt, Marco Breuer, Colby Caldwell, Bridget Conn, Ofri Cnaani, Bryan Graf, Sandi Haber Fifield, James Huckenpahler, Ivana Larrosa, Chris McCaw, Ben Nixon, Stacey Page, Dawn Roe, Nikko Sedgwick, and Lydia See. More than ever, the art world is seeing a shift in the way we perceive photographs. This exhibition is a small survey of contemporary photography’s return to hand crafted, unique (sometimes one of a kind) works of art. These artists are working beyond the camera, beyond the frame, beyond film, beyond the print. Chance serves as a dominant theme in both the process and the resulting works. We see artists not only using tools of digital manipulation, they are also altering the surface of their photographs with paint, thread, water, and other non traditional materials. We’re also seeing artists employ traditional photographic techniques, and even reconsidering ways in which these techniques can be utilized. The exhibition includes a survey of processes from photograms, cyanotypes to digital applications and 3-dimensional installations. Colby Caldwell uses the computer and one corrupt digital file transferred from Super 8 film to create vibrant grid-like images. James Huckenpahler utilizes computer software to create striking, figurative prints on aluminum. Ben Nixon constructs photograms, images made without the use of a camera, as does Bryan Graf, who uses a handheld flash and color gels to create his dream-like, large-scale photograms. 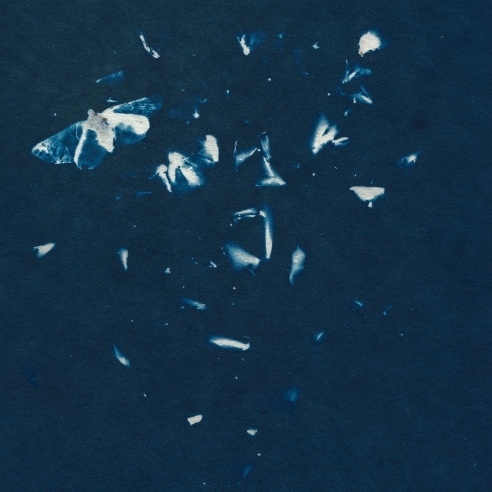 Bridget Conn, also utilizing an alternative process, makes gestural chemigrams using photographic paper to make pieces based on line, shape, color, and textures rather than on photographic imagery from negatives. Ofri Cnaani and Dawn Roe also create cameraless works, and will be both exhibiting cyanotypes, with Roe creating a small scale installation. Matthew Brandt, who has used everything from peanut butter to cocaine in his photographs, will be exhibiting subtle, captivating works on handmade paper, silkscreened with charcoal from wood on the land which contains his subjects, trees. In his Sunburned series, Chris McCaw creates several-hour exposures, a process where the sun burns its path onto the light sensitive negative, moving beyond photography as merely a representation of reality. 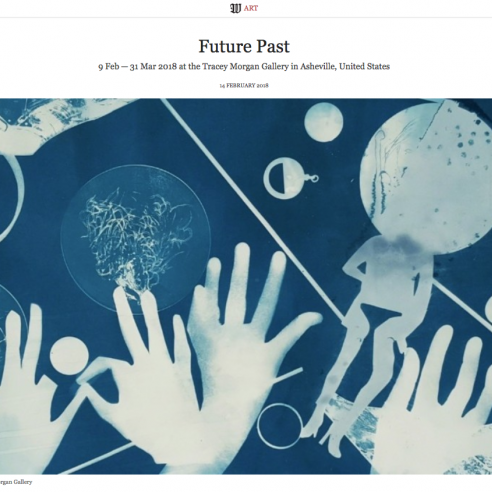 Web feature on our "Future Past" exhibition.